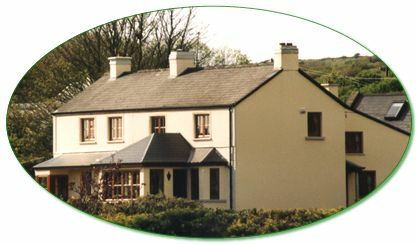 Fergus View guest accommodation is a former teacher's residence built as the 19th Century faded into the early years of the 20th Century. Originally it was built as a teacher's residence and its first occupant was Denis Kelleher, a native Irish speaker from Inchigeela, Co Cork. Now it is occupied by Declan and Mary Kelleher and family. Like his grandfather Denis, Declan too is a primary school principal in the local area. Fergus View is run by Mary Kelleher, a former nurse and midwife, who combines running the business with raising her family.